Between October 10 - 12 Tsubakimoto Singapore Pte. 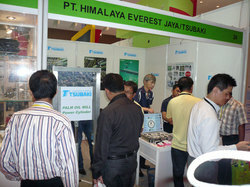 Ltd. participated in PALMEX Indonesia 2012 at the Santika Premiere Dyandra Hotel & Convention Medan. 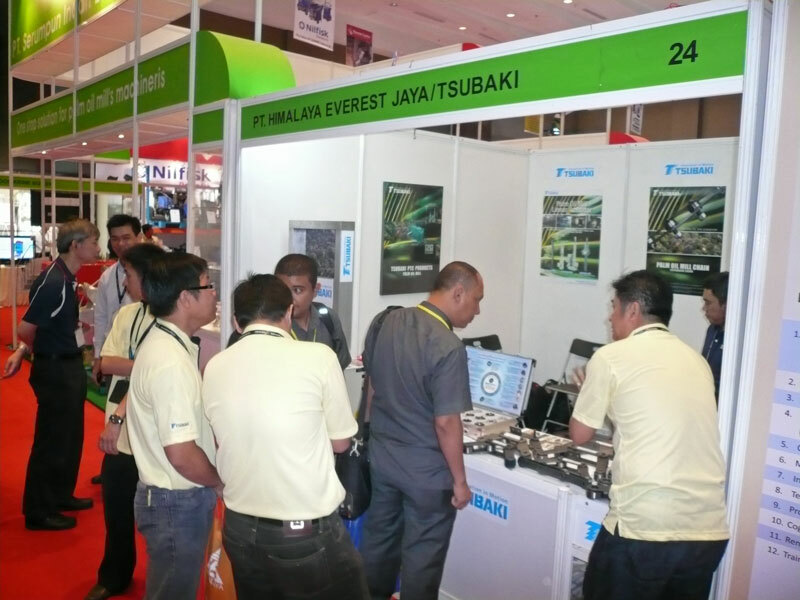 The exhibition showcased 108 regional companies and was attended by about 6000 people over the 3 day event. 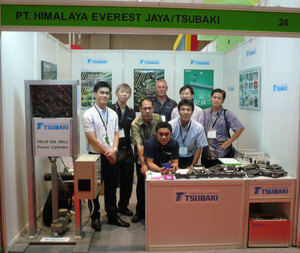 Tsubaki exhibited several of its chain products used in the palm oil industry including conveyor chain (RF90R, RF94R, RF604R, RF506HP, RF706HP), plastic roller chain, extended pin chain, and the company's latest GEx-7 Roller Chain. PT. 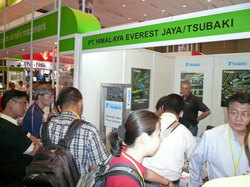 Himalaya Everest Jaya, who exhibited alongside Tsubaki, reported that visitors to the Tsubaki stand paid special attention to the company's palm oil mill conveyor chain with plastic rollers. Other power transmission products shown at the exhibition included Tsubaki's backstop Cam Clutch and Power Lock. In addition, Tsubaki also drew attention from its loading ramp mockup that incorporated a moving Power Cylinder. The Power Cylinder is a simple device that can save costs in a palm oil mill. It only requires a power source to operate, and compared to hydraulic alternatives it is much cleaner. 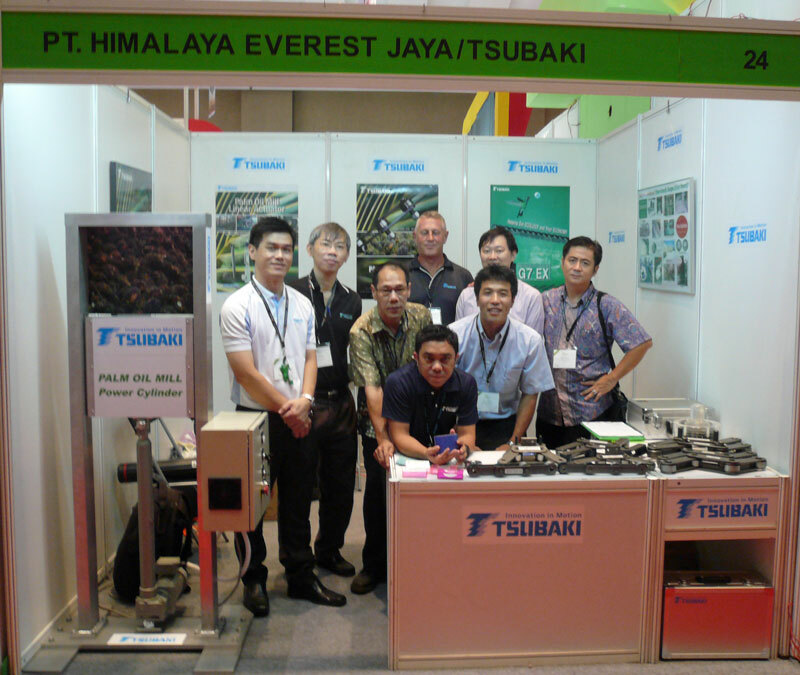 Existing customers of the Power Cylinder told Tsubaki of their positive experiences with the product, and suggested other applications where it can be used in their palm oil mill operations. There was so much interest in the Power Cylinder that Tsubaki Singapore plans to conduct a seminar in November to follow up with interested customers.